It was going to happen soon enough: WhatsApp will now start sharing user data with the company that owns it, Facebook. Facebook, of course, will use this data to sell more ads. However, the company won’t be looking at your messages. 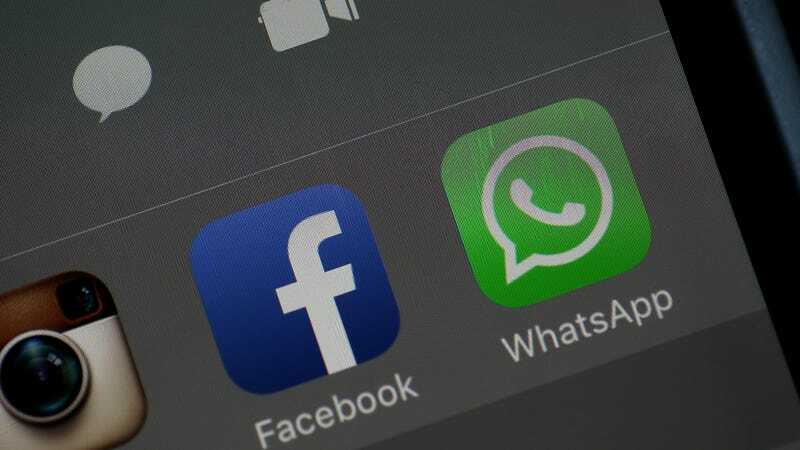 Facebook couldn’t look even if it wanted to since WhatsApp messages are end-to-end encrypted with the encryption golden standard. Instead, the social network will look at your metadata, the data about your messages. This very obviously betrays WhatsApp’s commitment to privacy that it has long held. In case you’d forgotten, Facebook wants to collect as much data as possible about you, so that it can use it to sell more expensive ads and make more money. That’s the company’s stated business model. It’s not like the folks at WhatsApp didn’t see this coming, either. When Facebook bought the extremely popular messaging app for $16 billion in 2014, it clearly saw an very valuable wealth of user data waiting to be collected and sold. These specifics remain true. However, the sentiment that WhatsApp is an app that protects and cares for your privacy is no longer a reality. It was nice while it lasted. When it comes to what exact data they’re collecting and sharing, Facebook and WhatsApp are intentionally vague, though the details are telling. For instance, WhatsApp is going to share your phone number, a valuable data point that could be used to find out where you live. Sharing your phone number could also allow advertisers to better target ads specifically to you. Creepy. I thought WhatsApp was supposed to be the privacy conscious alternative to Facebook’s Messenger? Not anymore. WhatsApp says it’s also going to share “analytics data,” which could mean... well... whatever Facebook wants it to mean. Take a look at this list of the data points that Facebook uses to sell ads, and you start to get an idea of what WhatsApp will share with Facebook. But by coordinating more with Facebook, we’ll be able to do things like track basic metrics about how often people use our services and better fight spam on WhatsApp. And by connecting your phone number with Facebook’s systems, Facebook can offer better friend suggestions and show you more relevant ads if you have an account with them. We asked Facebook six times to provide a specific list of what data will be collected and shared, and the company’s PR department just directed us to a webpage that details what information WhatsApp collects. Facebook could not provide a specific list of what information WhatsApp would share, but we’ll update this post if the company provides us with a clear answer. WhatsApp is still a great app to use for secure messaging, but it is not longer the best option for privacy. Try using Signal instead. “If partnering with Facebook meant that we had to change our values, we wouldn’t have done it,” Koum wrote in 2014. “Instead, we are forming a partnership that would allow us to continue operating independently and autonomously.” So much for that.